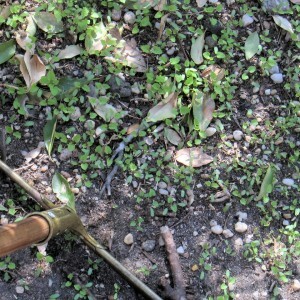 To remove any large cluster of seedlings where mowing isn’t practical try using a squeegee on a pole instead of a rake. 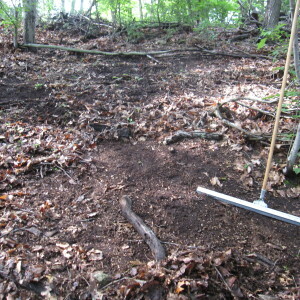 The rubber catches the small plants and draws them from the soil with little effort. 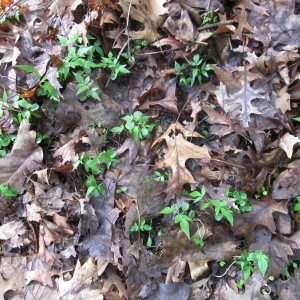 The pile of leaves and other debris that accompany the seedlings can be left in place to compost down.